August & September have been fruitful & beautiful months as our church continues to deepen in what it means to enjoy Jesus & live for the joy of others here in Denver. On behalf of our church family, we cannot thank you enough for the ways you are partnering with us for the beauty of God, the good of Denver, and the joy of all nations. We’ve provided a brief snapshot of what God has been up to so far this Fall & some strategic ways you can pray as we finish out the last few months of this ‘pre-launch’ year faithfully. We welcomed our beautiful little girl, Adalyn, into the world in the early hours of August 1st. Much of August was spent enjoying this gift with family & friends. It was refreshing (as much as possible having a newborn added to your home) to have extended time with family & we were overwhelmed how our new church community came around us in love & tangible help! God is kind & we are grateful. We’re praying she would live into her name- that she would be this picture of true womanhood. That God would give her a gentle, kind, gracious spirit, and that she would use it furiously to give her life away in unselfish generosity for the things that matter most. And that from the beginning she would experience in us and come to know for herself God as good, faithful, and full of never giving up love. Thank you for praying for continued open doors to love the students, families, and faculty/staff of George Washington High School in our neighborhood! There are several open opportunities for us, including our participation with a life coaching program called ‘Life After George’ where we (alongside some parents & faculty) will meet with every Junior & Senior at GW throughout this school year to help them plan & prepare for what’s next after graduation. Please pray for these relationships & conversations as they develop. God has opened up the doors for me to sit on 2 different boards associated with the Denver Metro YMCA as a way to learn how we can tangibly meet the needs of our community & to network with people in positions of influence in our city. 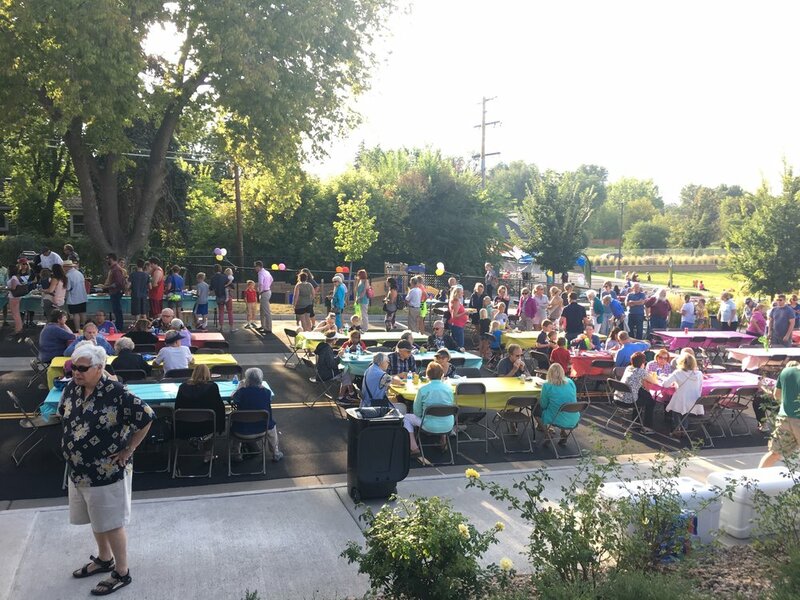 My family’s local Y branch hosted a Fall Kickoff community picnic where we were able to meet a lot of new neighbors! 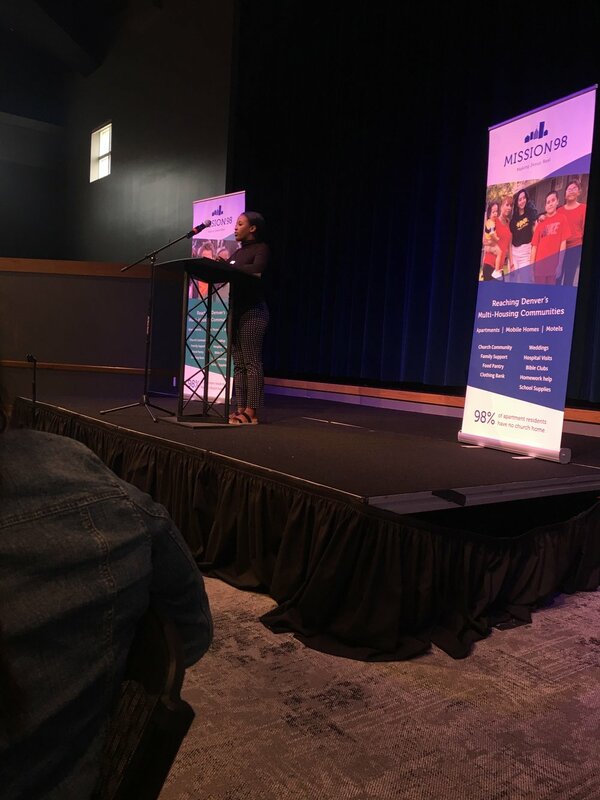 Through friendships with leaders who attend The Summit Church, we’ve learned about a great new nonprofit in our city called Mission98 who are pursuing holistic restoration within multi-housing communities throughout the metro area, where 98% of apartment residents are not meaningfully connected to a local church. 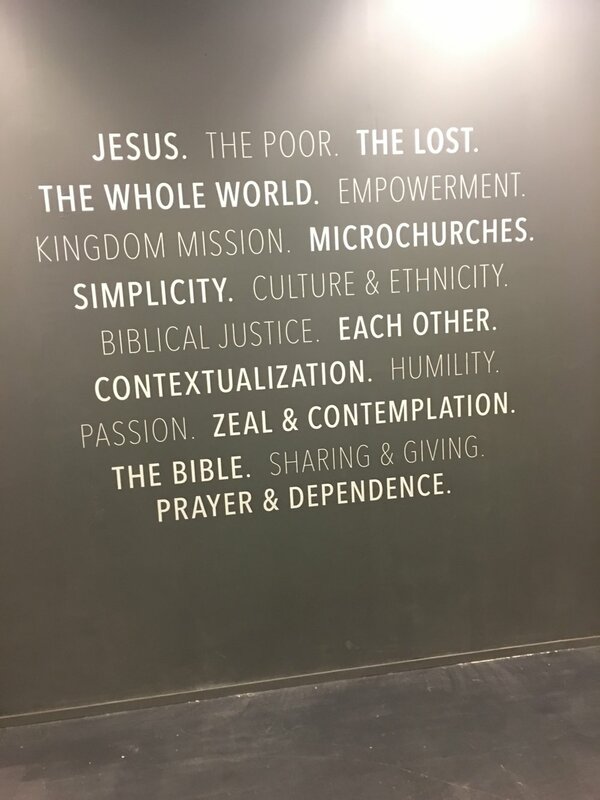 We are prayerfully pursuing potential opportunities to replicate this model of ministry in our corner of the city to more effectively engage the many apartment complexes that are home to thousands of people. Through our continually deepening partnership with Ethne Global Services we have been relationally connected with dozens of ethnic leaders from all around the world who have settled in Denver & desire to see churches planted to reach their people groups. Doors are opening to be part of training these pastors. Pictured above is a room full of Burmese Pastors from Southeast Denver/West Aurora. The Oaks Church is in early conversations with one church in particular, Myanmar Mission Church, about helping them develop a family discipleship process for their English Speaking children, while using the curriculum to train the adults, not only in learning the English language, but as a means for their personal discipleship, as well. This would also provide opportunities for the kids of our church to develop multi-cultural friendships, while still be invested in by our leaders. Please be in prayer for wisdom & continued favor as we pursue these relationships. One of our leaders & I had the opportunity to spend a few days in Florida with a church planting network learning how to train & release communities of missionaries to pursue their calling & engage lostness & culture strategically. We’re grateful for people who have been pursuing similar visions & ways of multiplying the Church who have gone before us that we can learn from as we build critical foundational DNA of what we pray the Oaks Church will become. We are partnering with The Send Network, the church planting initiative of the North American Mission Board of the SBC. We are deeply grateful for organizations like this that provide coaching, care, and strategic opportunities to not only plant a healthy church, but to be part of collaborating to plant multiple churches along the Front Range. These last two months our church has benefited directly through multiple coaching meetings, a care package for our growing family, two training events, and a free ‘family night’ at a Colorado Rockies game. 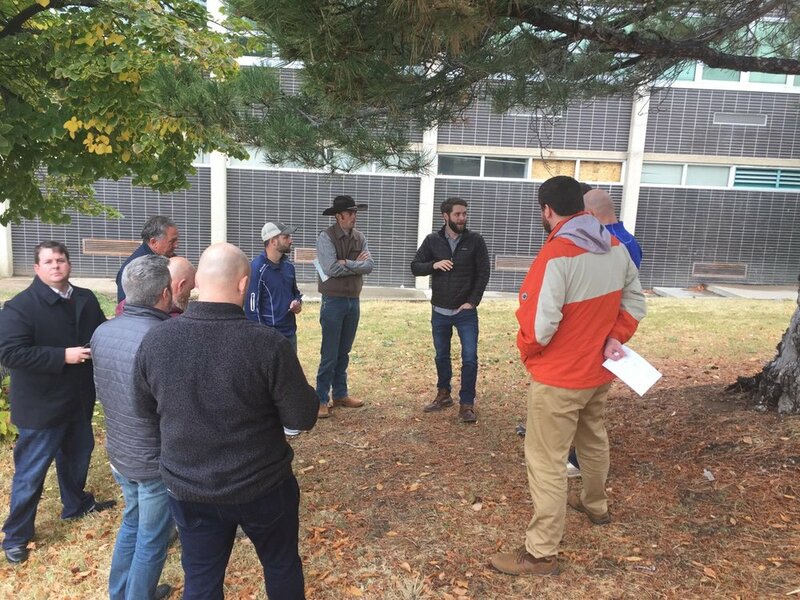 Pictured above is a recent Send Network Assessment where 4 potential church planter families were here being assessed to begin their journey of seeing 4 more churches started here. For those who have been walking this journey with us for some time, this is the exact thing Cayla & I walked through a couple years ago as we started this process. It’s a joy (and a bit surreal) to be a small part of encouraging & serving those who are right behind us! We’re praying for many planters to be sent here! 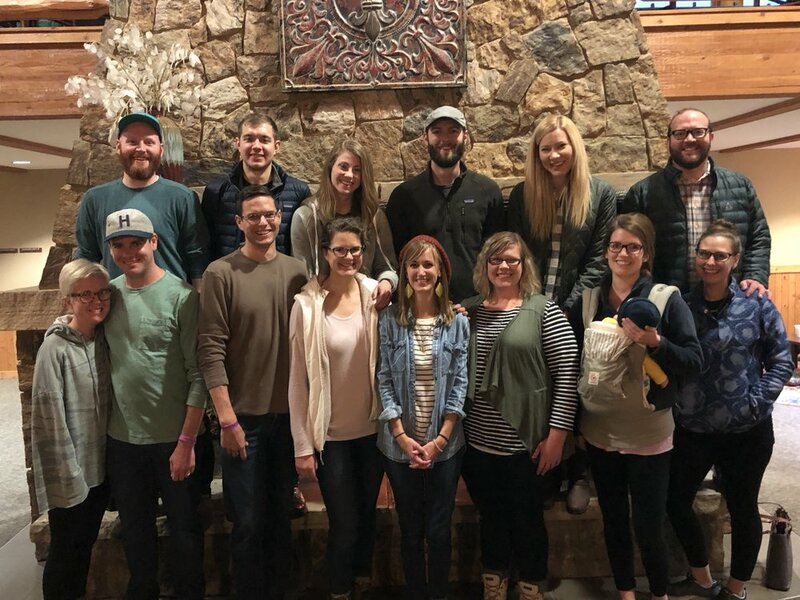 Another aspect of our partnership with The Send Network is being connected with churches from around the country who are exploring partnership with church planting in Denver through becoming Supporting Churches of The Oaks Church. These last two months I’ve had the privilege of sharing the vision of our Church and the needs & opportunities of our neighborhood to 8 different churches. Please continue to pray for more strategic partners to lock arms with us! Enjoying a Rockies game with a few Oaks members & a couple Ethiopian friends from our neighborhood who are becoming part of our community. This Fall has marked ‘Phase 2’ of our church’s journey. Phase 1 was getting each member of our team relocated here and taking unhurried time to get acclimated to our new city and begin learning everything we can about our neighborhoods and showing hospitality to neighbors. 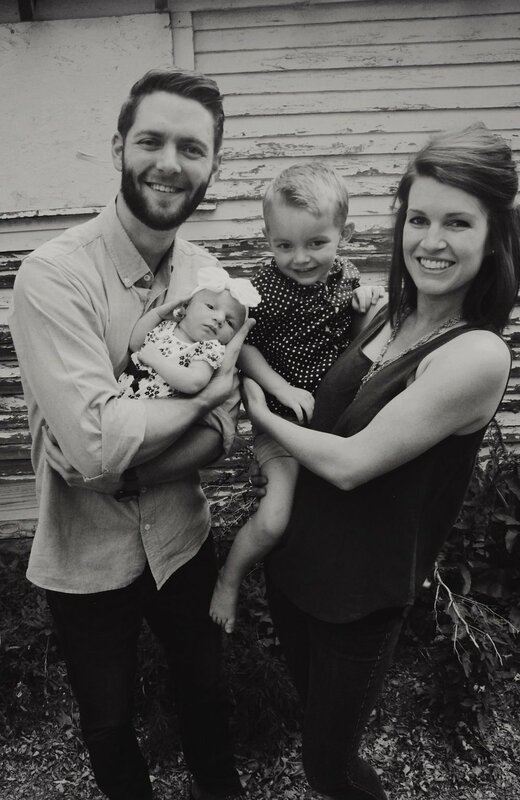 By God’s grace, we welcomed our last ‘committed’ team member this Fall, which allows us to begin Vision Casting, strategic planning, and developing leaders more intentionally. 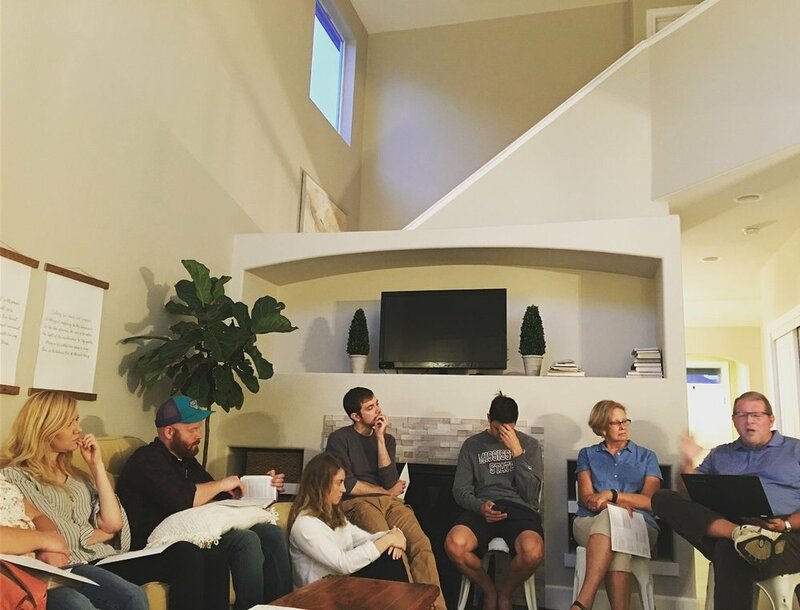 In addition to gathering with our friends at The Summit Church each Sunday, The Oaks Leadership team gathers in one of our member’s home each Wednesday night. We are balancing these weekly rhythms with different emphases. Every 1st Wednesday is Prayer, Worship, & Vision Casting as we unpack different core convictions each month (if you haven’t read the convictions that drive our church, check them out. ), every 2nd & 4th Wednesday is guy/girl nights where we intentionally ask discipleship questions & care for one another, and every 3rd Wednesday is a fun relational hangout where we just enjoy one another & create space to invite neighbors to live life with us. Last weekend we enjoyed our first annual Leadership Retreat in beautiful Estes Park just outside of Denver. It was such a sweet time of unhurried time together and extended time to cultivate unity & take steps toward each member of our Leadership Team discerning their own unique callings, gifting, and personality typing as we look into more strategically multiplying these leaders as we seek to be faithful to make disciples and plant churches. Our sending church, Tri-Cities Baptist in East Tennessee, generously sent a team of 5 people to make our Leadership Retreat possible. 3 people invested deeply in our kids & 2 leaders spent time encouraging the adults during our main sessions. This was the first time our Leadership Team has had uninterrupted, extended time together & space to unhurriedly discuss strategic things. This move has also been difficult on our kids, so to have people fly out to love them in really meaningful ways was such a gift to us. 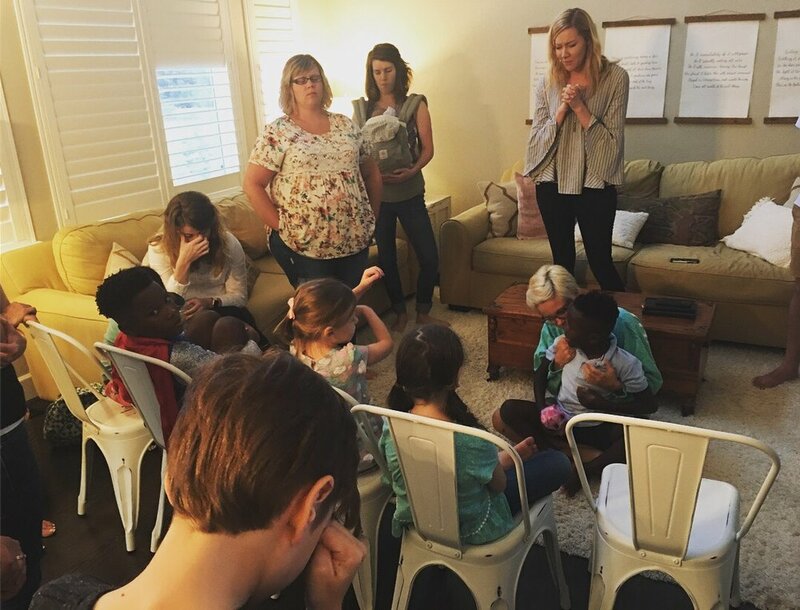 After our retreat, the team stayed an extra day to pray through our neighborhoods! Pastor Gene & his wife Gayle from Tri-Cities spent an entire week touring our neighborhoods & meeting with each member of our team as part of Tri-Cities efforts for ‘missionary care.’ They loved us so well & it’s especially meaningful for the members of our team not sent from Tri-Cities to have such intentional and thoughtful care from people they don’t even know! Churches really do plant churches and I pray The Oaks will learn from this example of what it means to ‘hold the rope’ for those sent! Each member of our church has people who are not yet enjoying Jesus we are building relationship with & sharing the good news about Jesus. Please pray for boldness to talk about things that matter most. Will you ask God to open these people’s eyes to see the beauty of God and that they would keep taking steps to follow Jesus? Pray for wisdom & creativity for our Church to practice hospitality as we enter into the winter months. There are many strategic opportunities with the holiday season coming up that we want to be intentional with. We’ve found that urban people here in Denver are somewhat skeptical of being invited into homes until a depth of trust has been developed, which makes hospitality a unique challenge. With the weather being so nice we’ve met people in neutral ‘3rd spaces,’ but with cold weather official making it’s way here for a while we will need to be creative in what it means to continue to deepen friendships with our neighbors. Please pray for quick learning of where people go to hid out in the colder months & for increased favor with people trusting us. We have begun bi-weekly Strategic Planning Meetings in addition to our weekly rhythms of life together where we are prayerfully white boarding how we will organize ourselves in February after we are sent out from The Summit Church. Will you please join us in fasting & prayer in clarity & discernment of the timing and specific organizational structures to build. We want to continually walk in the tensions of radical urgency & simple faithfulness. We don’t want to feel the pressure to start Day 1 trying to do everything & give ourselves permission to build this over time, but also desire to embody a holistic approach to disciple making in light of the tremendous need here & around the world. Pray for faith, courage, and sensitivity to be led by the Spirit in our planning. Goal of 5 more Partner Churches || We have added 2 partnering churches since our last update! Goal of 20 more individual donors || We have added 6 monthly donors since our last update! Goal of $25,000 in one time investments || Over $6,000 in one-time gifts have been given since our last update! Will you join us in praying for these goals specifically? Will you ask God how He may have you lock arms with us in this way? If you have any questions, please reach out at derick@theoakschurch.net.